Welcome to the CTA Madison website! We are a local chapter of the national Call To Action organization, working together to foster peace & justice in our world, our church, and ourselves. CTA-Madison Meetings are the THIRD WEDNESDAY of every month (except Dec. & July) from 7:00-8:30 p.m.
We Stand with Father Roy! Call To Action stands in solidarity with Fr. Roy Bourgeois, MM, who was notified November 20 that the Congregation for the Doctrine of the Faith had canonically dismissed him from his Maryknoll religious community due to his support of women's equality in the church. Fr. Bourgeois, a Vietnam veteran, a Maryknoll priest of 40 years and founder of the School of the Americas Watch, is one of the leading public supporters of women's ordination in the church. He has lectured, vigiled and been arrested for his unceasing support of women's equality. Fr. Roy has dedicated his life to seeking justice. Catholics are more courageous because of his witness, are more equal because of his advocacy and are closer to the kingdom of God because of his love for the church and its people. 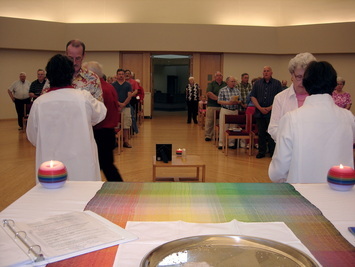 Recently Call to Action - Madison Area commemorated several events during a Eucharistic Pentecost celebration. The Rev. Alice Iaquinta, an ordained Roman Catholic Womanpriest, presided. We celebrated the priesthood of women, Mary Magdala, and the 35th Anniversary of the ministry of Integrity/Dignity in the Madison area. 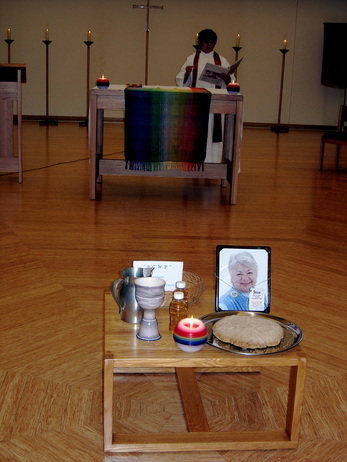 There was also a remembrance of our beloved Joan Weiss, who passed on to new life one year ago. 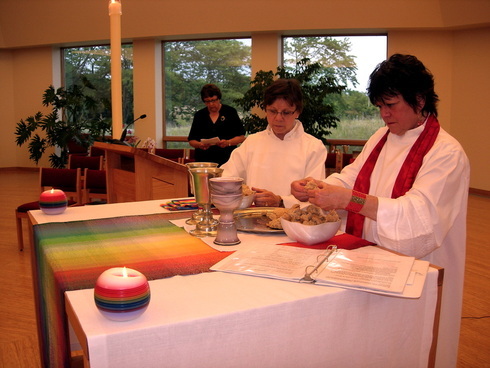 Everyone is welcome to the Communion table! Support our mission by making a donation today! Contact us at calltoactionmadison@gmail.com for membership inquiries, comments, or questions.